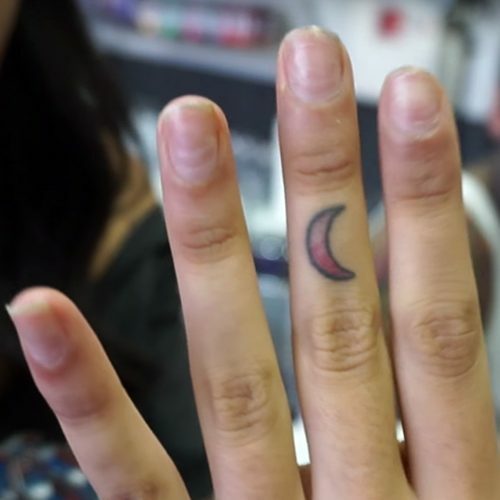 Vanessa Martinez has a tiny crescent Moon inked in black and red on her middle finger on the left hand. 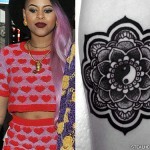 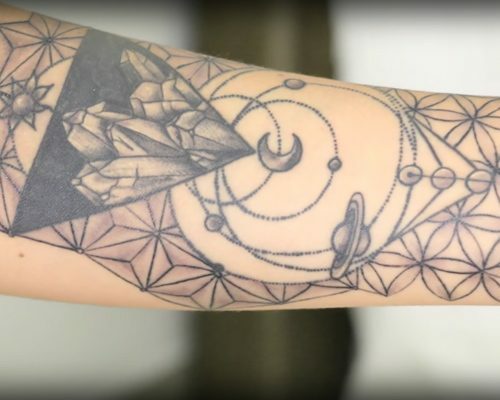 Vanessa Martinez has a little geometric pattern tattoo going around the top of her left arm ink art. 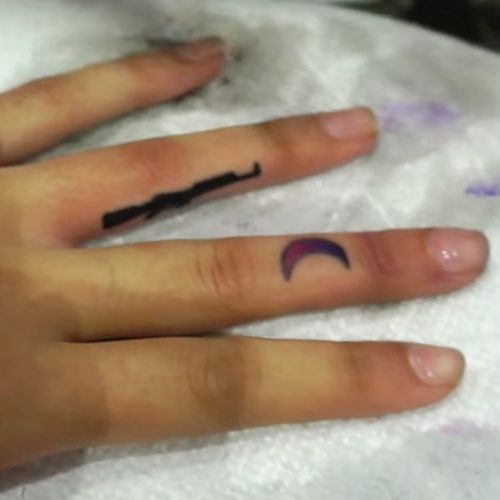 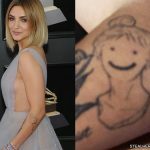 This was the sixth tattoo that she got. 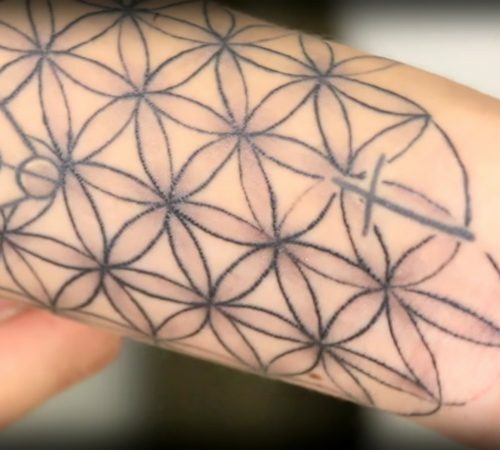 The fifth tattoo Vanessa Martinez got a pattern of little flowers on her left forearm. 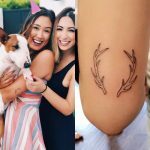 She remembers seeing those flowers getting done on someone else when she went to get the tattoo above it and she thought that is was really pretty. 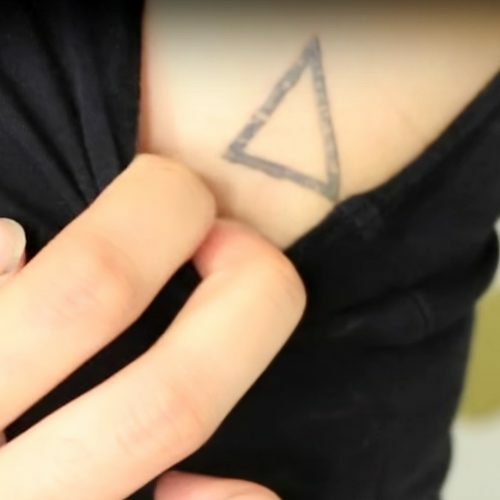 The third tattoo Vanessa Martinez got was put on top a scar and it is an outlined triangle. 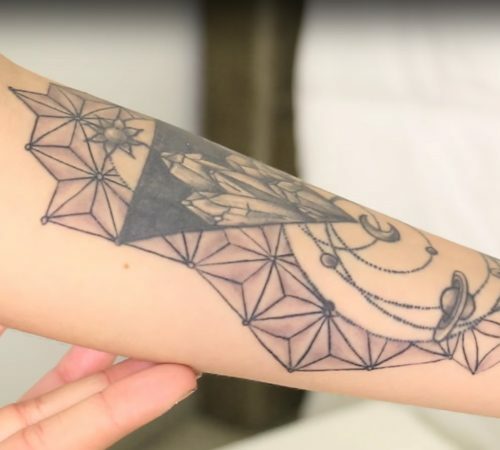 She said the little triangle represents the YouTube button and even if some people would consider that to be stupid, YouTube represents a big deal for her. 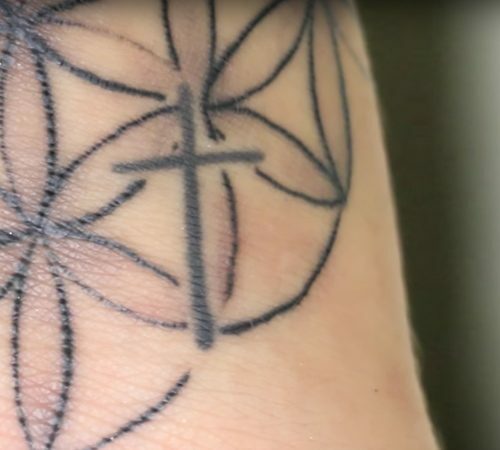 Vanessa Martinez’s second tattoo is a cross on her left wrist. 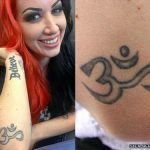 The cross represents her Christian faith and her belief in Jesus and God.